Mike Pompeo, whom President Trump tapped Tuesday to replace Rex Tillerson as secretary of state, has an extraordinary résumé. He graduated at the top of his class at West Point. He served as a tank officer in Europe. He went to Harvard Law School. 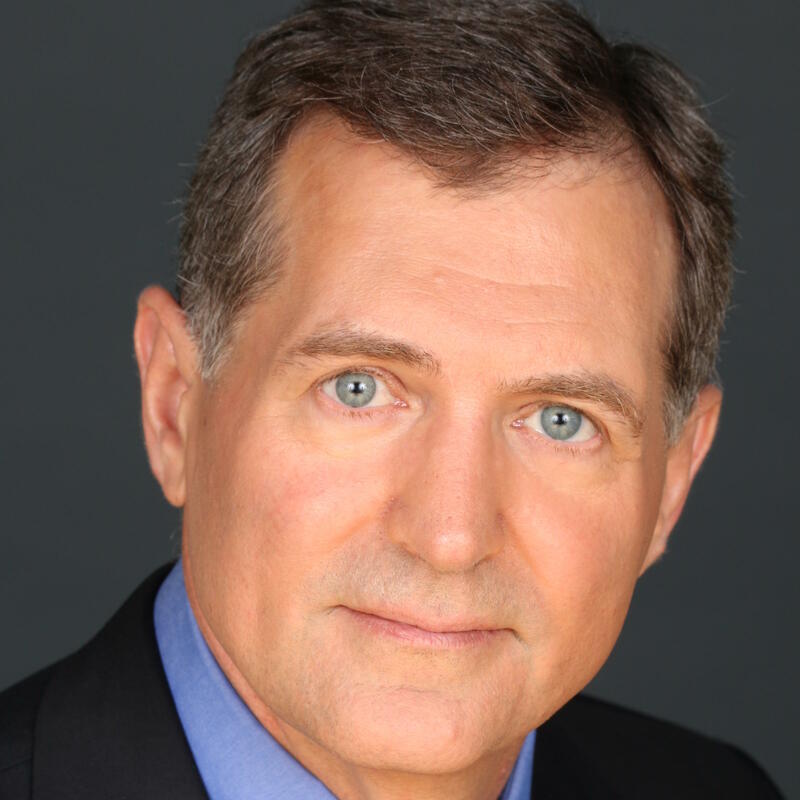 He was a corporate lawyer who launched a successful aerospace business. 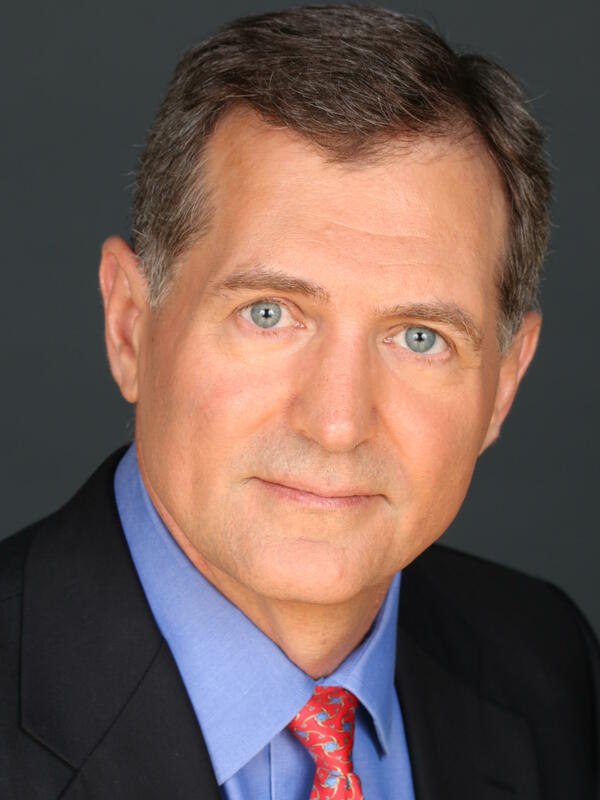 He got elected to Congress as a Tea Party Republican from Kansas in 2010. 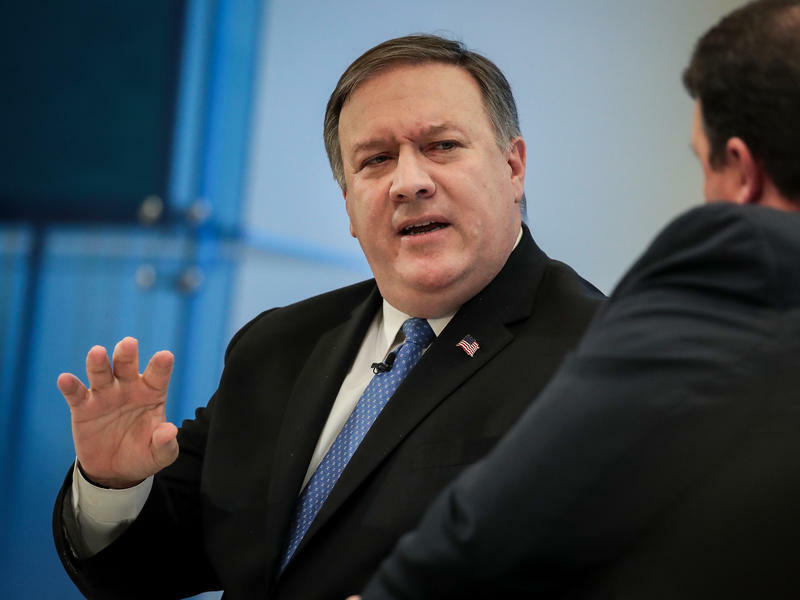 For more than a year, he has run the CIA. However, he has never been a diplomat, either by profession or temperament. President Trump and North Korean leader Kim Jong Un don't exactly travel in the same circles. Yet there's a man who's spent quality time with both of them: Dennis Rodman. Trump fired Rodman for misspelling his wife's name when the ex-NBA star appeared on Trump's reality TV show, The Apprentice, in 2013. 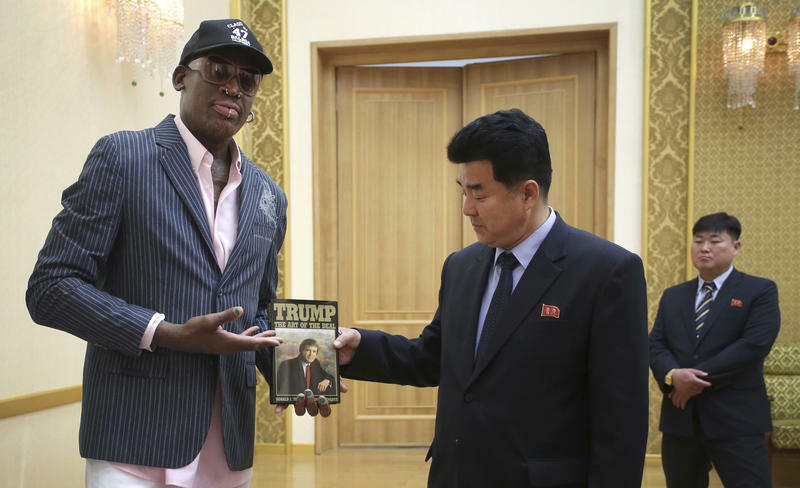 And Rodman has visited North Korea several times, including last year, to serve as an informal diplomat and basketball guru to Kim. At first glance, five killings in three states since last May appeared to be unrelated, isolated cases. But a common thread is emerging. Three young men have been charged, and all appear to have links to the same white supremacist group: the Atomwaffen Division. Atomwaffen is German for "atomic weapons," and the group is extreme. It celebrates Adolf Hitler and Charles Manson, its online images are filled with swastikas, and it promotes violence. President Trump on Friday announced a fresh round of sanctions against North Korea in an attempt to block oil and other prohibited products from getting to the Asian nation. 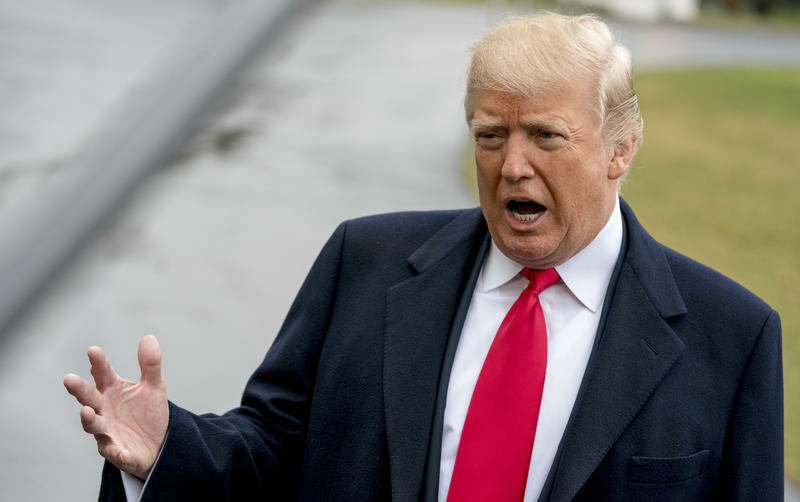 "We have imposed the heaviest sanctions ever imposed," Trump said at the conclusion of his speech to the Conservative Political Action Conference in Oxen Hill, Md., just outside Washington. "Hopefully, something positive can happen. We will see." Jacob Zuma became South Africa's president in 2009 amid suspicions of corruption. 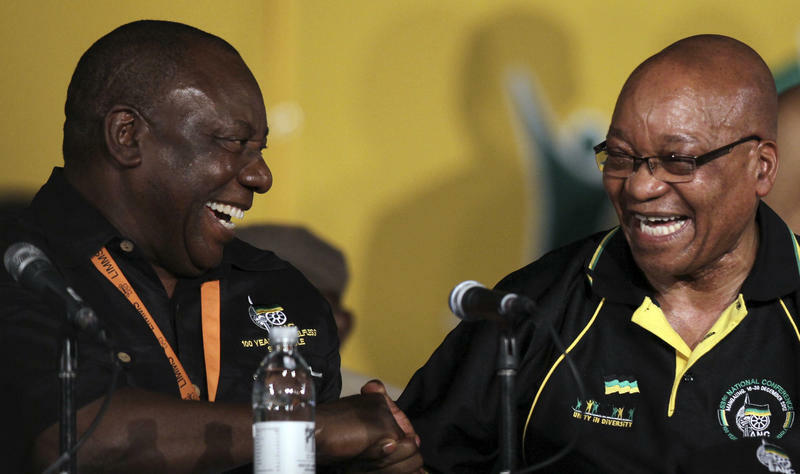 After nine years in office, and many more allegations, he resigned Wednesday after his own African National Congress party told him it was time to go. 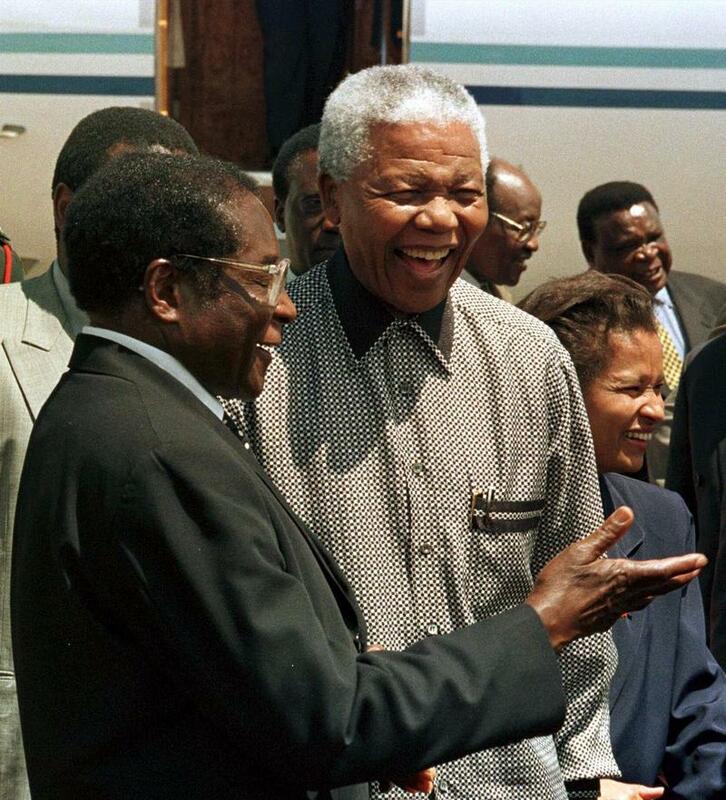 Zuma, 75, was a political survivor. But he never escaped the taint of corruption, and his tenure marked the rockiest period in South Africa's post-apartheid era. 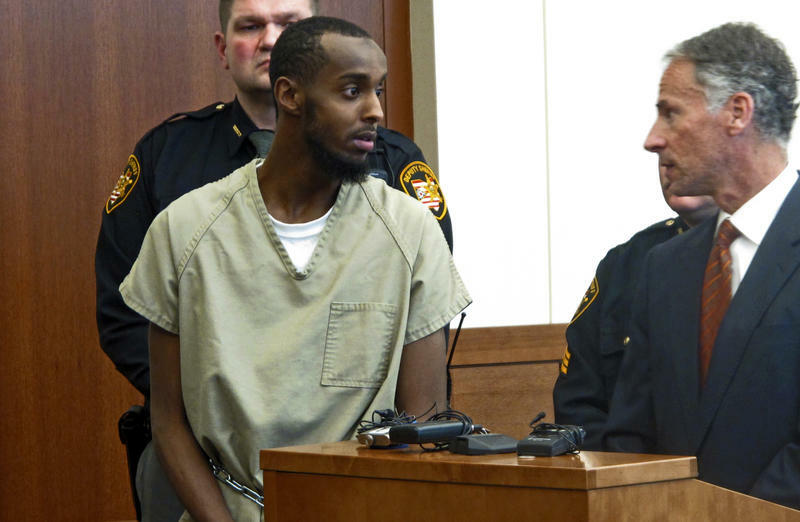 Americans In ISIS: Some 300 Tried To Join, 12 Have Returned To U.S.
An estimated 300 Americans attempted to join the Islamic State and other radical Islamist groups in Iraq and Syria, including a small number who rose to senior positions, according to the most detailed report to date on this issue. So far, 12 of those Americans have returned home, yet none has carried out an attack on U.S. soil, according the report released Monday by George Washington University's Program on Extremism. When Army Capt. 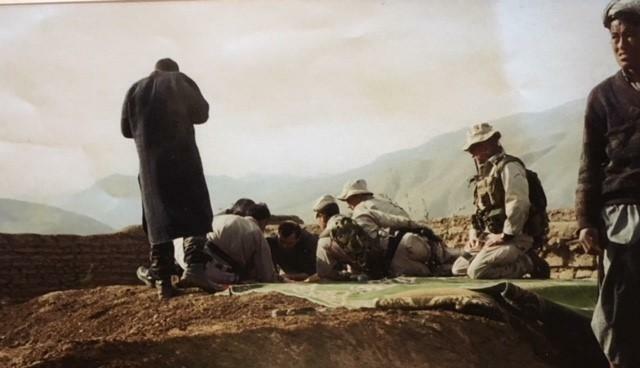 Mark Nutsch and 11 fellow Green Berets jumped off their helicopter into the swirling dust of northern Afghanistan in October 2001, their Afghan partner informed them they would be battling the Taliban — on horseback. "In that situation, they're certainly not going to give you their very best horses," Nutsch said dryly. 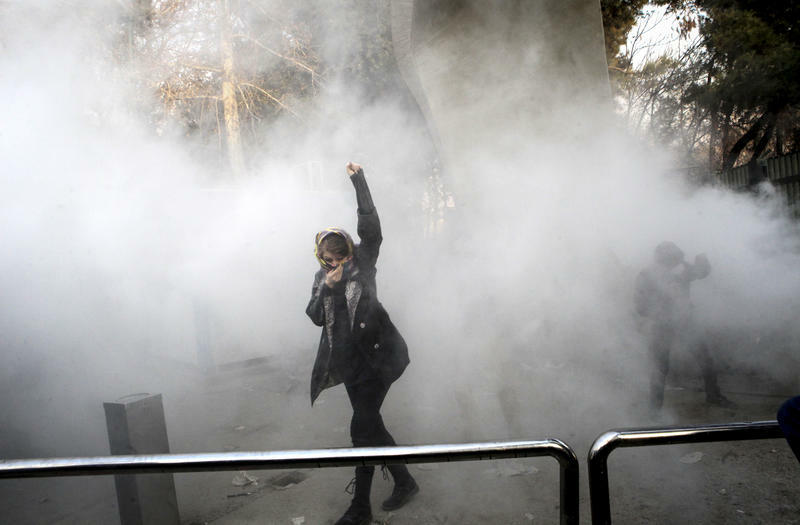 Iran's protests feature demonstrators upset with the country's lackluster economy and nearly four decades of rule by hard-line Islamic clerics. Those are the basics, but there is much more behind this latest round of unrest. Iran is a complicated place, marked by multiple factions all trying to pull the country in different directions. There is one supreme cleric in charge. But there is also an elected president and robust political debate. While not a democracy, neither is Iran a dictatorship. Where Did The Islamic State Fighters Go? 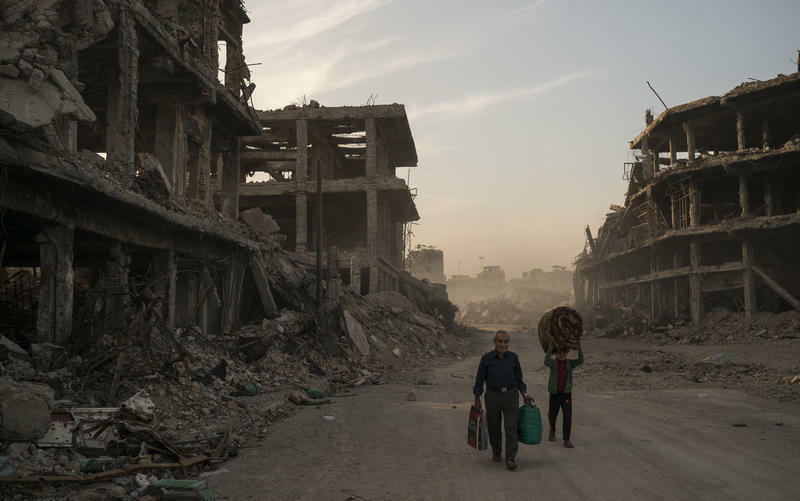 The Islamic State no longer controls cities. Its previously large ranks are decimated. Survivors have scattered into the desert. Yet ISIS still has militants with weapons and plans for renewed mayhem. "We have repeatedly said in this room, the war is not over," Defense Secretary James Mattis noted last week at the Pentagon. He said U.S. forces are still tracking down small pockets of ISIS fighters. 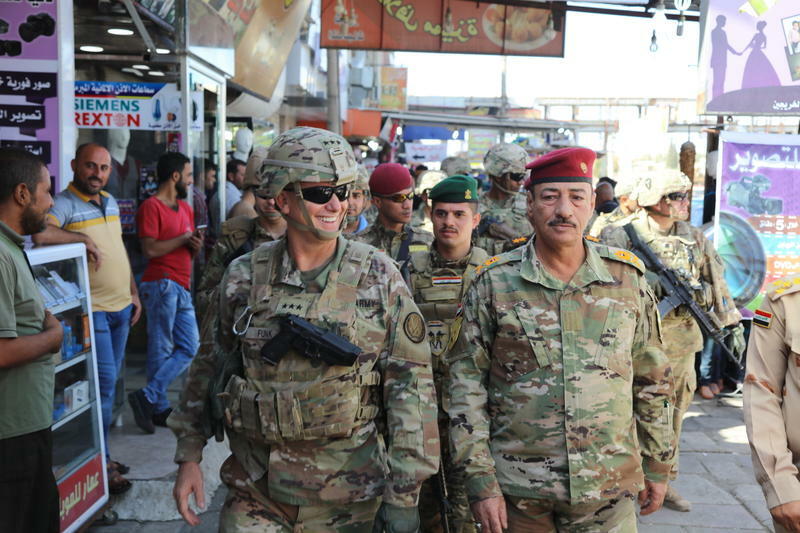 In Iraq, the U.S. is still working closely with the Iraqi security forces, in hopes they can take full control of the country's territory. 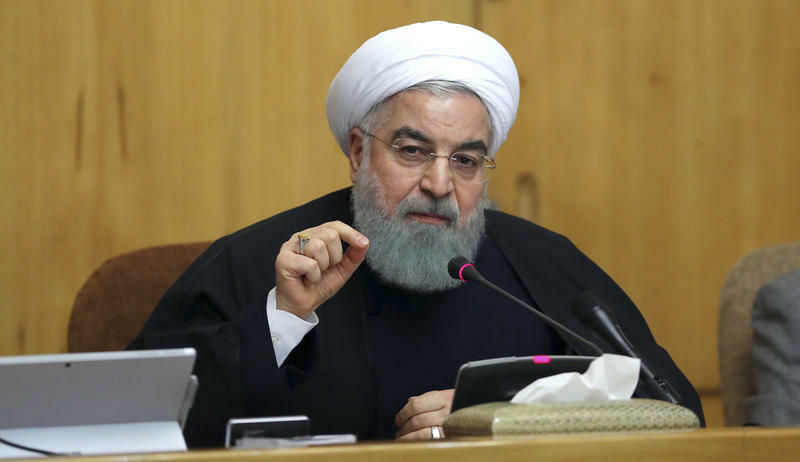 A protester shot and killed an Iranian policeman on Monday, marking the first death among the security forces amid ongoing anti-government demonstrations, according to the police and media reports. 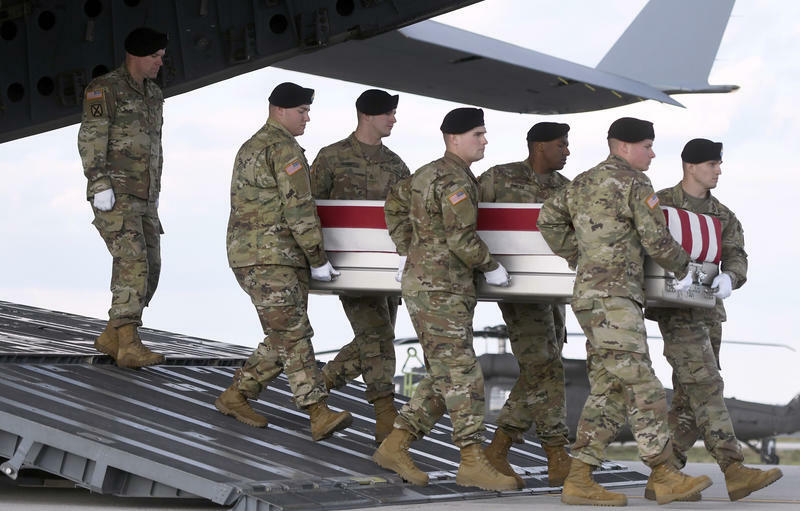 Every time a U.S. service member is killed, it's followed by a choreographed ritual — that requires a very human touch — to return the dead to their families. It's part of war the public rarely sees. But for Army Sgt. 1st Class A.G. Shaw, this work has been his life for 25 years. 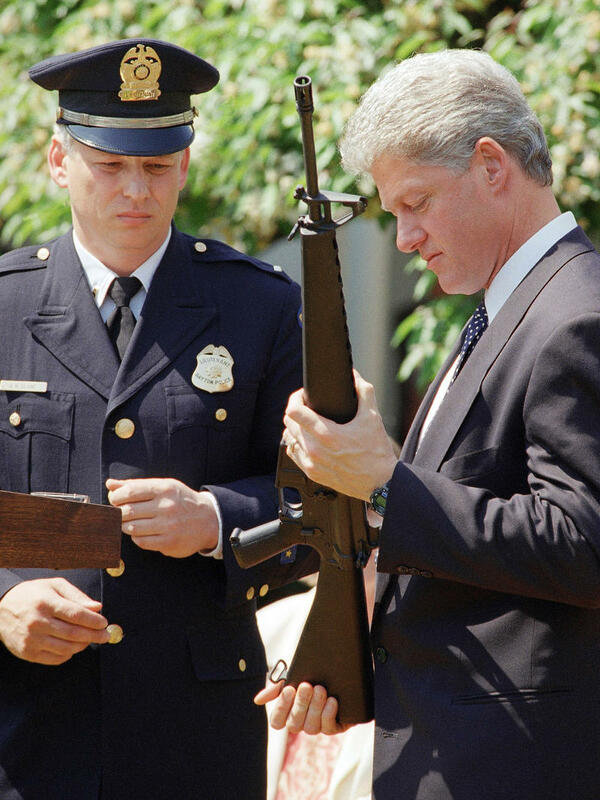 He's a "92 Mike" — that's military-speak for a specialist in mortuary affairs. The job requires reverence and discretion. Thanks and recognition are rare. Shaw's comfort came from a supportive grandmother. 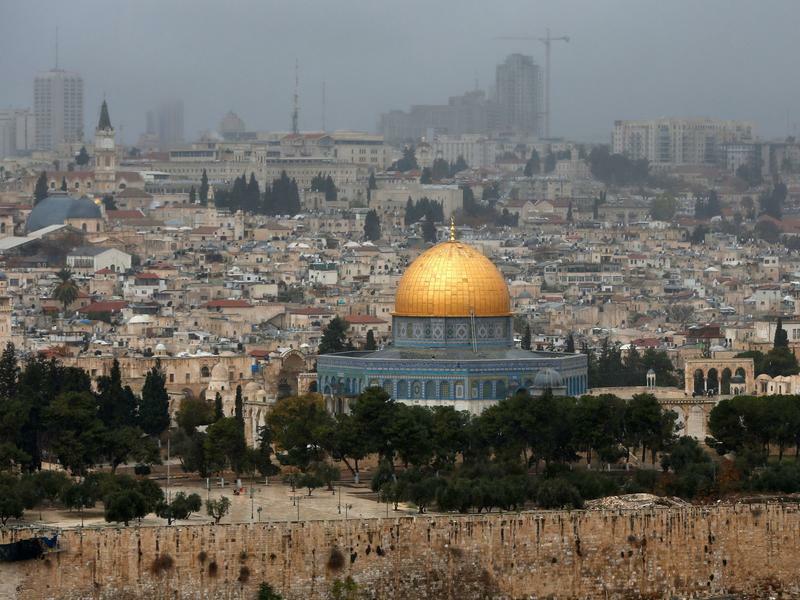 Jerusalem has been contested for millennia and its status remains unresolved to this day. The Israelis claim the entire city as their capital, while the Palestinians are seeking a capital in the eastern part of the city for a future state. The U.S. position has long been that the city's status should be settled in negotiations between the two sides. President Trump broke from that policy by announcing Wednesday that the U.S. recognizes Jerusalem as Israel's capital and by planning to move the embassy from Tel Aviv to Jerusalem. Since President Trump came into office, U.S. troop numbers have been edging up in the three countries where the U.S. is most deeply involved in fighting — Syria, Iraq and Afghanistan. U.S. forces totaled just over 18,000 in these three countries at the end of last December, just before President Obama completed his term, according to the Pentagon's Defense Manpower Data Center. The combined figure was about 26,000 as of the end of September, the most recent data available from the Pentagon. President Trump said today he's putting North Korea back on the list of state sponsors of terrorism. The announcement came during a cabinet meeting. Traditional. Predictable. Risk-averse. These words defined Saudi Arabia and its elderly monarchs for decades. 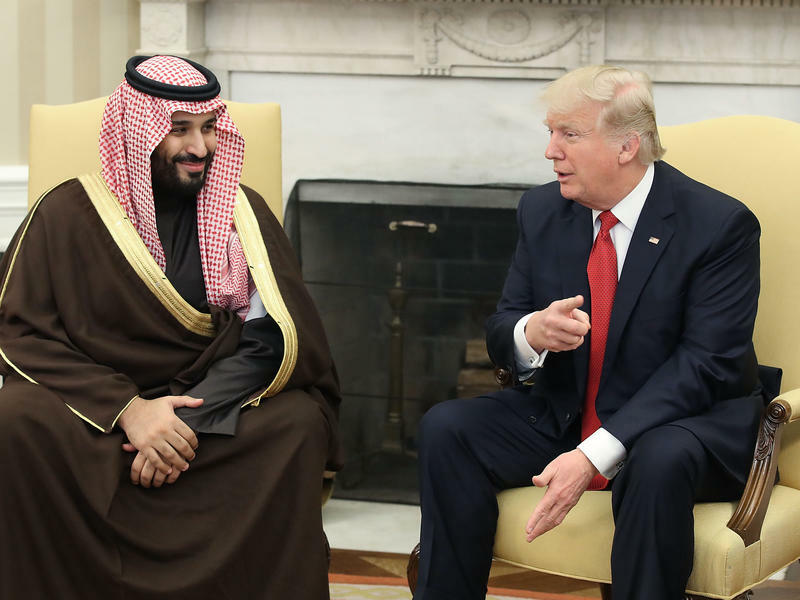 But the kingdom's brash crown prince, 32-year-old Mohammad bin Salman, is swiftly scrapping the old ways of doing business at home and abroad. According to President Trump, some Republicans in Congress and conservative media outlets, the Russia scandal is heating up. 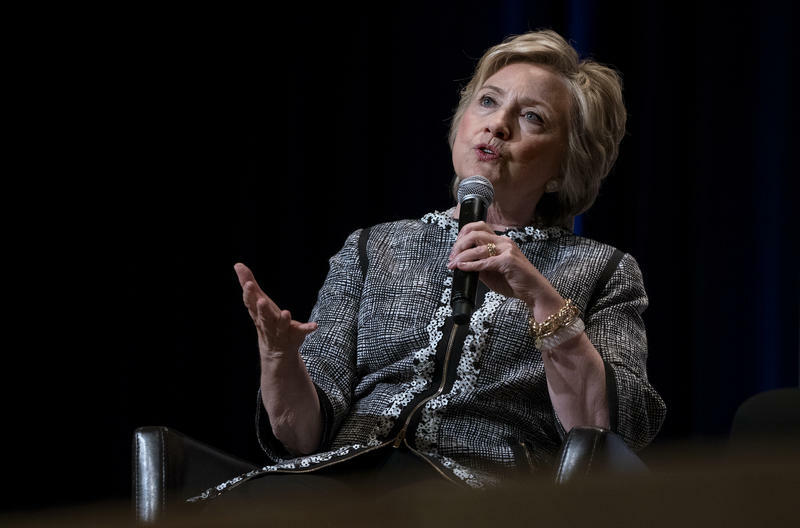 As secretary of state, Hillary Clinton approved the 2010 sale of a mining company to Russia. This gave the Russians control of 20 percent of U.S. uranium and placed U.S. national security at risk. In return, the Clinton Foundation received $145 million in pledges and donations. 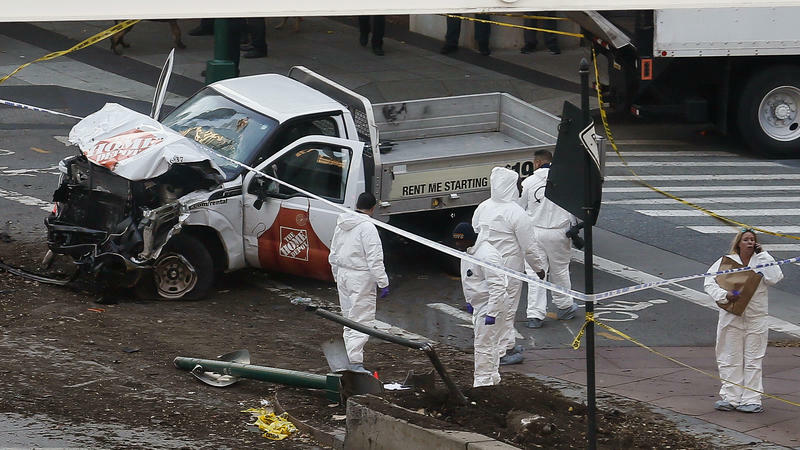 As ISIS Promotes Vehicle Attacks, Terrorists Strike In Europe And U.S.
As the Islamic State has crumbled in its core territory in the Middle East, the extremist group has pressed individual supporters to carry out vehicle attacks in the West. The lethal assaults have traumatized European cities for more than a year, and authorities are pointing to a similar motivation in the New York City attack that killed eight people on Tuesday. New York Gov. Andrew Cuomo said the attack was a "classic case of a radicalization of a domestic jihadist who associated with ISIS and this is their new playbook. Very simple. Use a vehicle to cause harm." 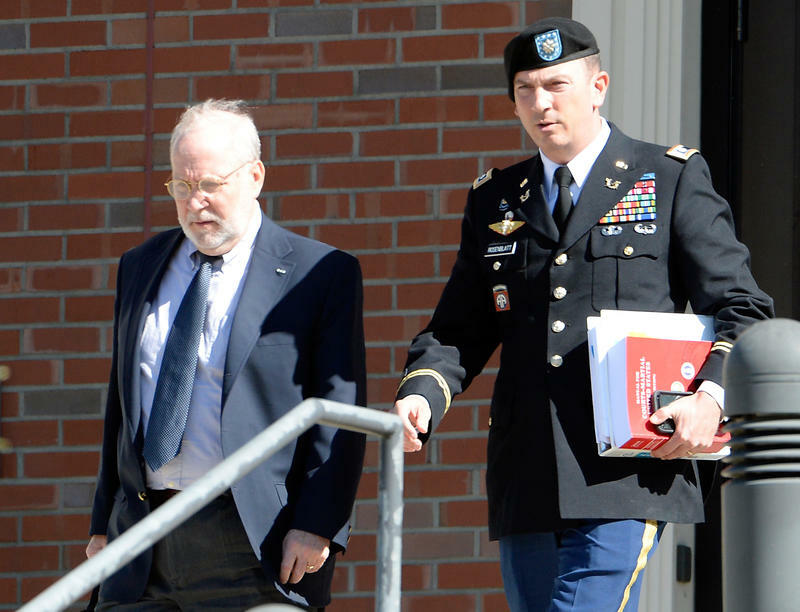 Former Army Specialist Jonathan Morita testified Thursday that his rifle was shot out of his grip, and his right hand was seriously injured, when a search for missing soldier Bowe Bergdahl turned into a firefight with the Taliban in July 2009. Morita, dressed head-to-toe in black civilian clothes, also said he's been short-tempered since his injury, which still limits the use of his hand despite surgeries and years of rehabilitation. That anger, he said, "is directed toward one person." A Navy SEAL testified Wednesday in Fort Bragg, N.C., that he was shot and badly injured during a heavy firefight while searching for Army Sgt. Bowe Bergdahl after Bergdahl walked off his combat outpost in Afghanistan. 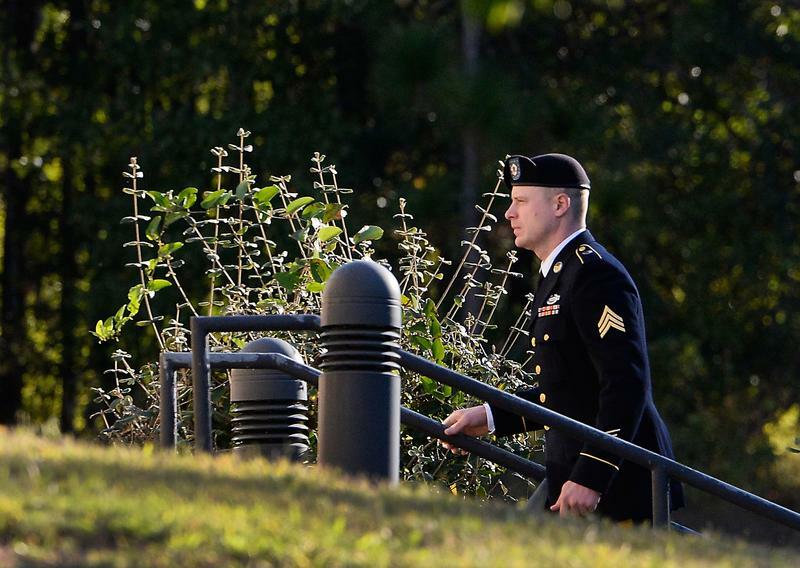 The military judge, Army Col. Jeffery Nance, is allowing the testimony of three service members whose injuries are considered a direct result of the searches for Bergdahl, who was captured by the Taliban and held for five years. He has pleaded guilty to desertion and misbehavior before the enemy.